including the 100 per cent electric Nissan Leaf - from zero to 80 per cent charge in just 30 minutes, and at zero cost. The installation of the fastest type of chargers dramatically increases the uptake and usage of electric vehicles. In Norway, Europe's biggest EV market, the number of electric vehicles using the E18 highway increased eight fold in an 18 month period after a CHAdeMO quick charger was installed on the route**. The new charger has been installed in collaboration with Ecotricity, a UK green energy specialist and pioneer in electric vehicle charging. The location south of London on the M25 motorway, one of the busiest in Europe, allows drivers west of London easy access to Kent and onwards into Europe. "This is a huge landmark for zero-emission mobility, allowing a range of EVs, including the Nissan Leaf and forthcoming Nissan e-NV200 electric van, to quickly extend their journeys. 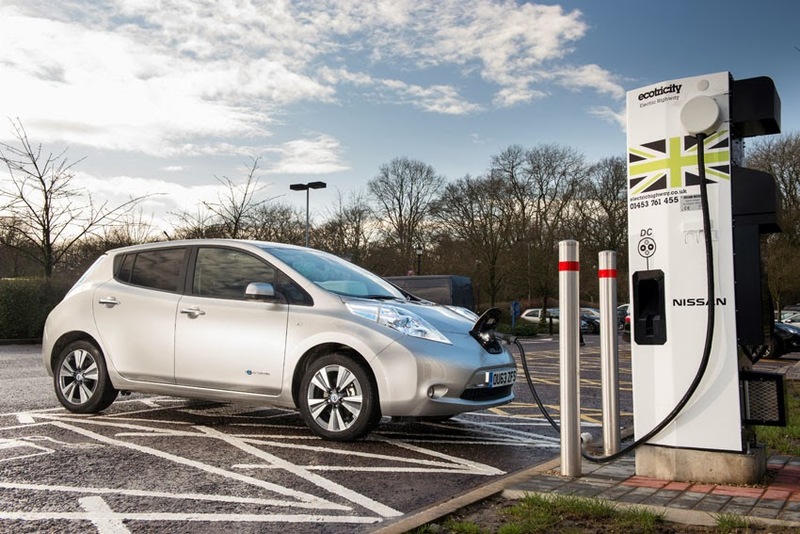 The UK charging network is expanding rapidly and through our partner Ecotricity, customers are able to 'refuel' their car for free with wind and solar generated electricity," said Jean Pierre Diernaz, Director of Electric Vehicles, Nissan Europe.